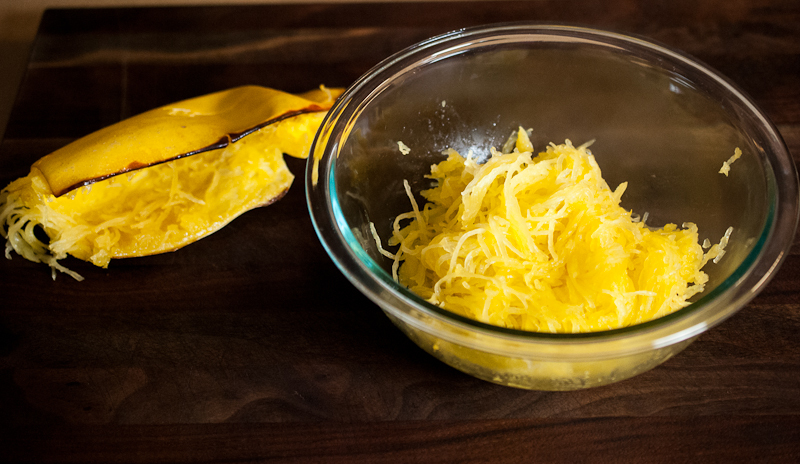 Spaghetti squash….hmmm, what comes to mind? A winter vegetable for sure, it reminds me that we are in the dead of winter…or the memory of nasty bland squash my babysitter gave me one time when I was little, and it quickly made it’s way back up after that! Yes, that was not a fond memory of squash, but other than that, I don’t remember having it much when I was younger. Funny- I have been more adventurous with food the older I get! 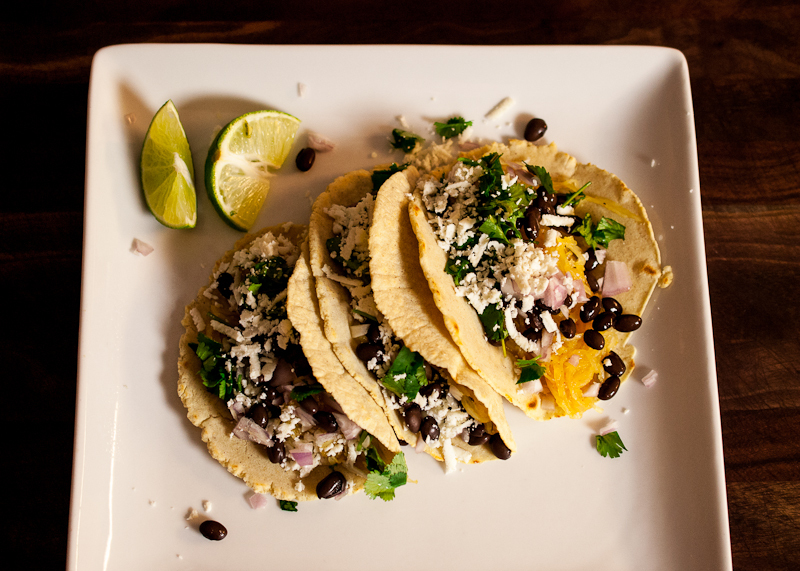 We love tacos in our house, can’t get enough of ’em! Fish, chicken, ground turkey, steak…endless possibilities! I’m currently on a mission to have a vegetarian night once or twice a week. My son thinks I’m nuts and my sweetie, well, he loves everything I cook! We love to make tortillas from scratch. They are easy, and taste so fresh. If you have 10 minutes you can whip up a batch. A few years ago Andrew made a tortilla press, it is one of my favorite kitchen gadgets, we use it all the time! Fear not, if you do not have one of these, a rolling pin and your hands will work just fine! The flour I use, is Mesa Flour. The only small tweaking to the recipe on the bag I do, is add a touch more olive oil. I do not like my tortillas really dry. 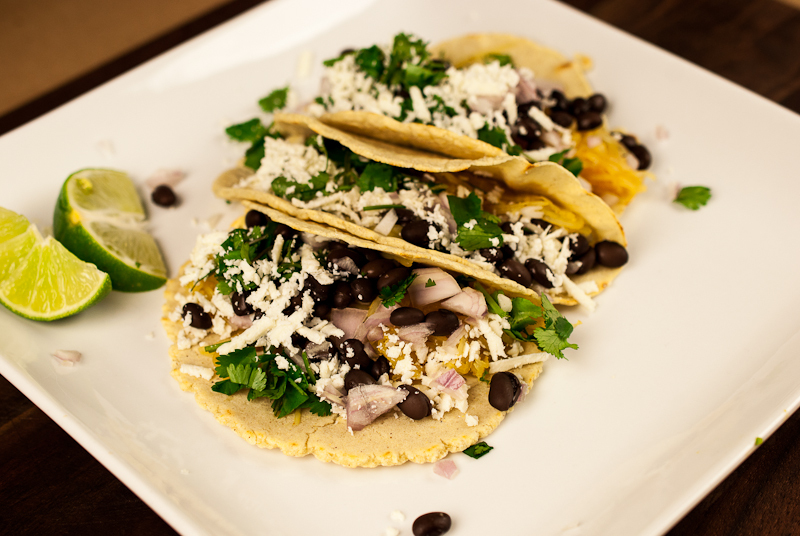 Try these meat alternative tacos tonight! They are loaded with flavor and good for you too! 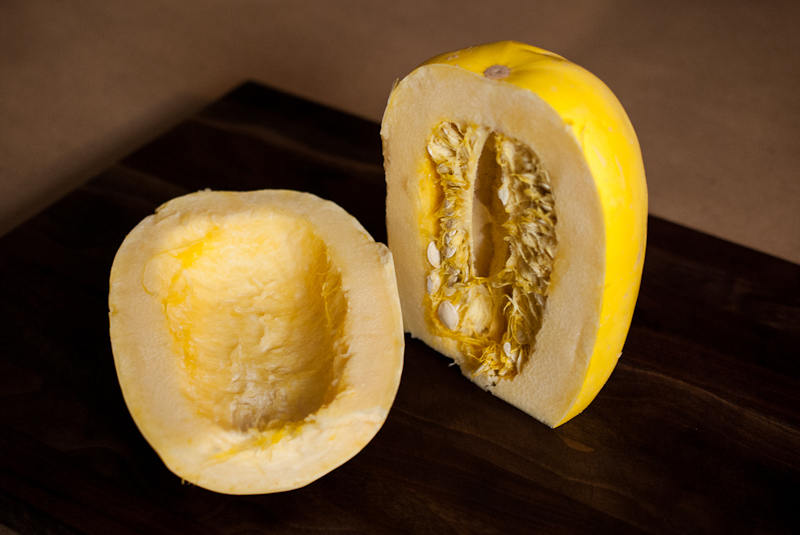 Cut squash in half lengthwise and scrape out the seeds. On an oiled pan, roast face down for 40 mins at 375 degrees. When cooled enough to handle, scrape out the inside of squash with a fork into a bowl, this should resemble “spaghetti”. Season with spices and lime juice. Warm tortillas before assembling in a heated skillet. 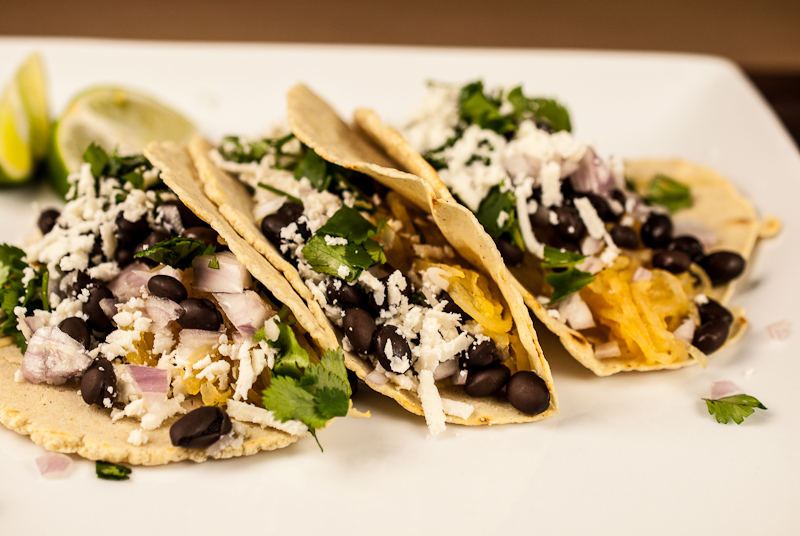 Assemble tacos with squash, beans, onions, cilantro and cheese. What a great idea!! I love spaghetti squash, but I never thought to put it in tacos! They look delicious Tiffany!